Polylepis forests are threatened high Andean ecosystems that provide important ecosystem services. We aim to raise public awareness of the importance of Polylepis forests for water catchment and climate change. We will work in the Choquetanga forest in the Pongo community, which has been degraded by cattle grazing. 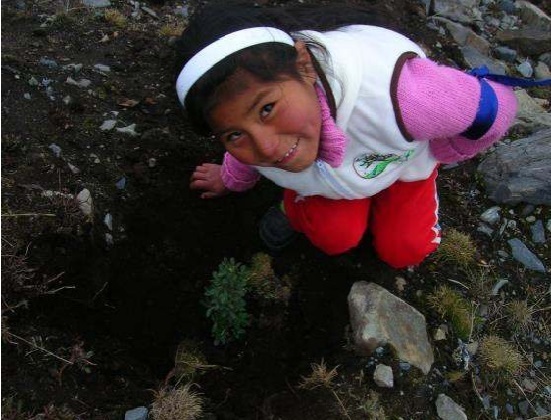 Our target group will be young students, promoting their direct involvement in its conservation through reforestation. We will also create a map of water catchment of the forest using GIS. We wish to demonstrate with study the importance of Polylepis forest as water reservoirs and generate awareness and participation in its conservation.